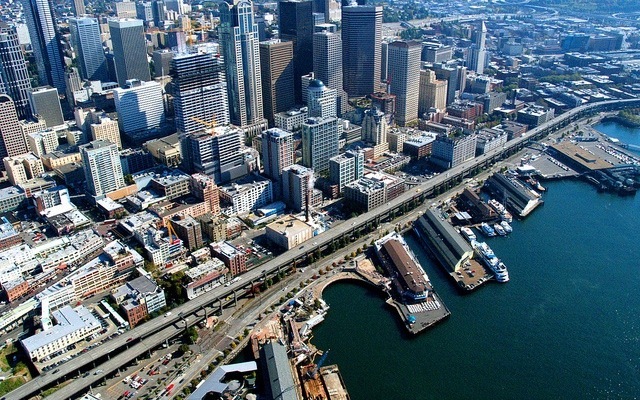 Celebrating the beginning of the end of the Alaskan Way Viaduct, WSDOT is sponsoring a contest where one lucky person and 24 of their friends will win exclusive access to the Viaduct’s downtown section for 30 minutes on Oct. 22. What would you do if you had the Alaskan Way Viaduct all to yourself for 30 minutes, free of cars and people? Maybe celebrate a birthday, propose to your significant other or stage a flash mob? That’s what the Washington State Department of Transportation wants to know. WSDOT is sponsoring a contest where one lucky person and 24 of their friends will win exclusive access to the Viaduct’s downtown section for 30 minutes on Oct. 22. The southern mile of the Viaduct closes for nine days for demolition starting Oct. 21. To enter, answer the question “What would I do with 30 minutes on the Alaskan Way Viaduct?” in 100 words or less and send it to viaduct@wsdot.wa.gov by Sunday, Oct. 16. The winner will be escorted to a private section of the viaduct at a predetermined time to follow through with their plan. Check the WSDOT website for contest details, rules and restrictions. For those who don’t win the contest, and anyone else interested in spending a little time on the viaduct before it’s demolished, there’ll be a commemorative walk on Saturday, Oct. 22. This is a perfect opportunity to get a firsthand perspective as this historic event unfolds. A portion of the top deck near the stadiums will be open to watch as crews demolish large sections of the viaduct, as well as enjoy great views of the city from the structure that helped shape Seattle’s waterfront. Attendees will also be able to take home a commemorative piece of the viaduct. · Where: Construction area north of 1051 First Ave. S.
· Elected officials help celebrate this major milestone at 1 p.m.
· No RSVPs are required, but some restrictions apply. Please wear sturdy shoes and be prepared for late October weather. No pets or bicycles are allowed on the structure. Children under 18 must be accompanied by an adult. The event will be ADA accessible. · Parking is available in the fenced construction site just south of Railroad Way South and on adjacent city streets and in nearby pay lots.